User Exalm contributed his bug fixes to Orthodox for Seamonkey. The update (version 0.1.1) is available for download. 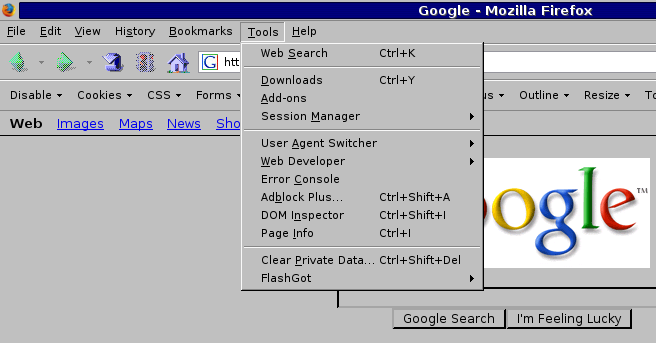 Due to too many changes in the Firefox GUI with every other new version, many of which I had to "undo" with the help of this theme, I have chosen SeaMonkey (direct Netscape -> Mozilla 1. * successor) as my default browser instead of Firefox (see here for details). 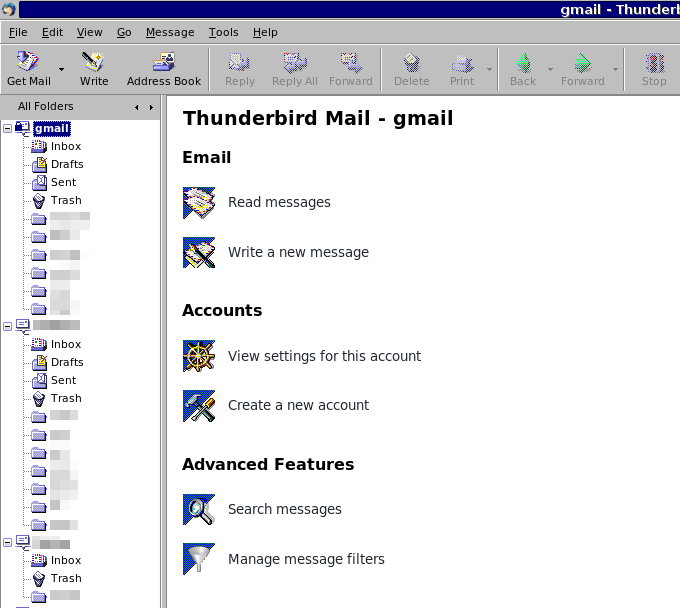 The Netscape-like themes for it existed: one was Classic Default, which was not compatible with SeaMonkey and when force-installed, showed broken graphics. Another one, Seazilla, also seemingly an abandoned project, was also incompatible, but when force-installed, worked quite well. I edited it by adding a few new icons. The result is available for download. Update: Orthodox for Firefox 0.6.1; changelog. Update: Orthodox for Firefox 0.6 (for Firefox 16+); changelog. 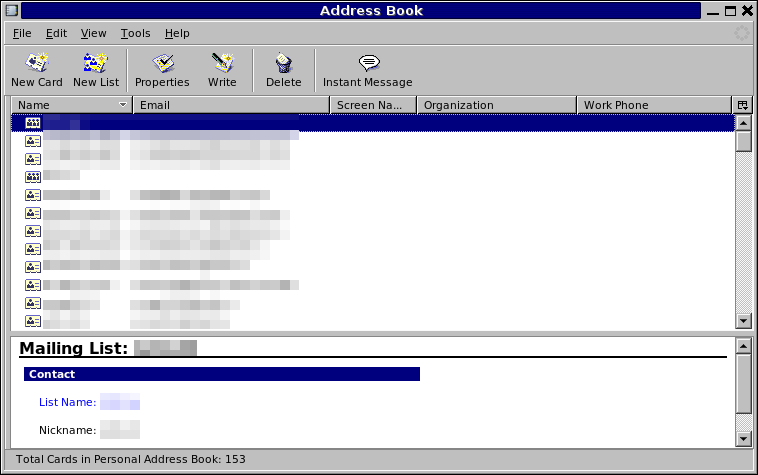 Use the Status-4-Evar extension and set up the toolbar as directed in the previous entry. 2012-10-23 update: this version of Orthodox was found to have multiple issues with Firefox 16+ by Mozilla reviewers, mostly with the new "web developer" tools, although I am using it at present and don't have any inconvenience. I will fix them in the next version. Update: Orthodox for Firefox 0.5 (for Firefox 4. *); changelog. For the best effect, the following additional steps are recommended. First, this theme should be used with the Status-4-Evar extension, after Mozilla stupidly decided to remove (not disable by default, but remove) the status bar in the final release of FF4. Second, the following steps will restore the traditional look of the main toolbar. Drag the Home icon from the end of the toolbar and put it next to the Stop button. This will eliminate the "combined stop/reload/go button" in the URL bar. Update: Orthodox for Thunderbird 0.4 (for TB 3.1). I updated Orthodox for Firefox to version 0.4.1 beta for Firefox 3.6 - 4.0. Right now Firefox 4 is still in beta, but I was forced to switch to it from 3.0 because neither 3.5 nor 3.6 worked well on my system, and Flash 10 didn't work well with any of 3.*. Consequently, after "bumping" the necessary extensions' install.rdf and seeing if they worked on 4.0 beta (most of them haven't been tested on it, but many, especially lightweight ones, do work), I had to work on my theme as well. To figure out the design of the new about:addons page, I picked a random theme which was already compatible with 4.0 beta (it happened to be Walnut) and used some of its contents (see contrib.txt). Also, I noticed that the PageInfo window did not show the active tab, but it seems to have nothing to do with Orthodox because the native 4.0 beta theme doesn't show it either. I partly figured out the reason for 0.3.2 crashes: Firefox 3.6 uses a different theme architecture (chrome.manifest) whereas earlier versions used install.rdf. Therefore, 0.3.2, which already uses FF3.6 architecture, crashed on earlier versions of FF (not always, but often). I have made the 0.4 version of Orthodox which will now be for Firefox 3.6 and above: for Firefox 3.5 and ealier you need to use orthodox 0.3.1. Version 0.3.2 will work on Firefox 3.6 but it may crash your earlier version of Firefox, so be careful. Therefore, I made version 0.4 incompatible with Firefox earlier than 3.6. Warning: on some occasions, Orthodox for Firefox 0.3.2 has appeared to have a serious bug (Firefox GUI crashes). I will have to test it further to remove the bug. Version 0.3.1 seems to work fine. Orthodox for Firefox 0.3.1; changelog. Orthodox for Thunderbird 0.3.1; changelog. I have completed updating the Thunderbird theme for Thunderbird 3; now, as the Firefox theme, it has one file for both Linux and Windows platforms, which now makes updating much easier. At the same time, right now I am completely satisfied with Thunderbird 2 and have not yet seen any reason to switch to TB3; therefore, personally I use the version 0.1.3 for TB2. I found one interesting thing in TB3 worth mentioning here. In Firefox, I like the close button to be on the right side and which closes the active tab instead of having one on every tab. In FF2 and FF3 it may be achieved by setting browser.tabs.closeButtons to value 3 in about:config (or putting it in userChrome.css). Likewise, I did not like the similar style in TB3 tabs and tried the same setting in its config editor. 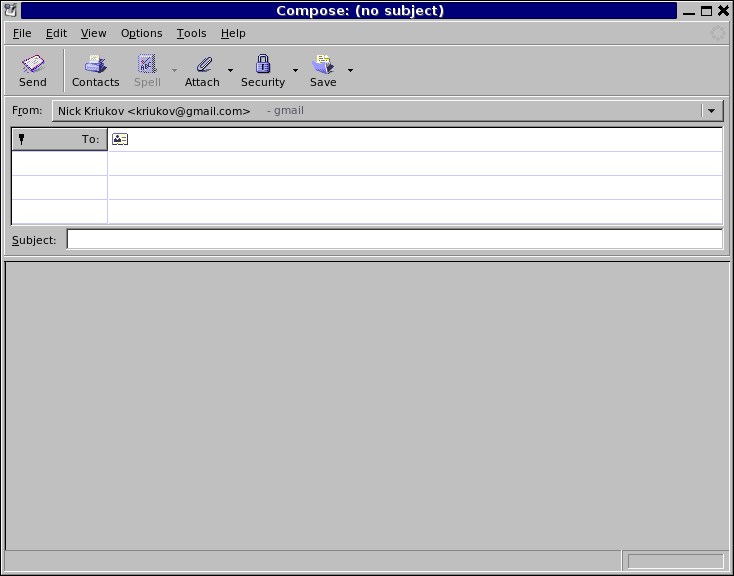 By trial, I found that the corresponding TB setting is mail.tabs.closeButtons, which, being set to 3, removes the close buttons from the tabs and puts one on the right, except the button image is not associated with it, so it appears like an empty space which exposes itself as a little square on hover and works as expected when you click on it. It may be a good idea to put the close button image there in the next version. Update: Orthodox for Firefox 0.3.1. Added features, bug fixes, known issues. Orthodox for Thunderbird 0.3 (for Thunderbird 3.0+) is under way. Right now the 0.3 version is ready. It works fine on Windows Thunderbird but needs to be improved to work well on Linux Thunderbird. Meanwhile, I updated Orthodox for Thunderbird 0.1 for Thunderbird 2 fixing minor issues with toolbar icons (directory, changelog). Orthodox for Firefox 0.3, a major update, is ready. See changes and known issues in changelog.txt , contributions of other sources in contrib.txt. Orthodox 0.2.4 is uploaded to the public directory and it is available on the Mozilla site. New features in changelog.txt. Orthodox 0.2.3, a bug fix version for 0.2.2, is uploaded. Orthodox 0.2.2 is out! See Orthodox for Firefox directory. Read the new changes in the changelog. As to why there is no Netscape throbber in this version. It looks really ugly in the menu bar and I still have no idea how to put it at the end of the toolbar/address/search bar. This requires more work than I thought it would, and, as I have already mentioned on Orthodox page on Mozilla's site, total rebranding of Firefox into Netscape is not the ultimate goal of Orthodox. Rather, it is preserving the Netscape way. I have updated Orthodox for Thunderbird 2 -- just a minor icon change. From now on the current versions will be stored and updated here.